If there's anything you'd love to learn, and it's not listed here, let me know - I can tailor a workshop to suit your group. 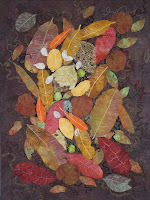 Patterns I produce are also available as workshops. 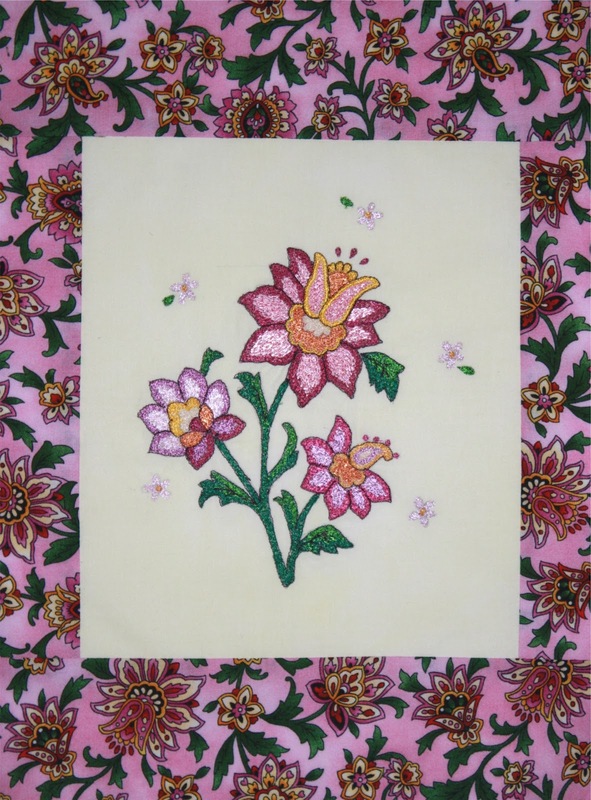 In this two day workshop we explore the different methods of appliquéing by machine. 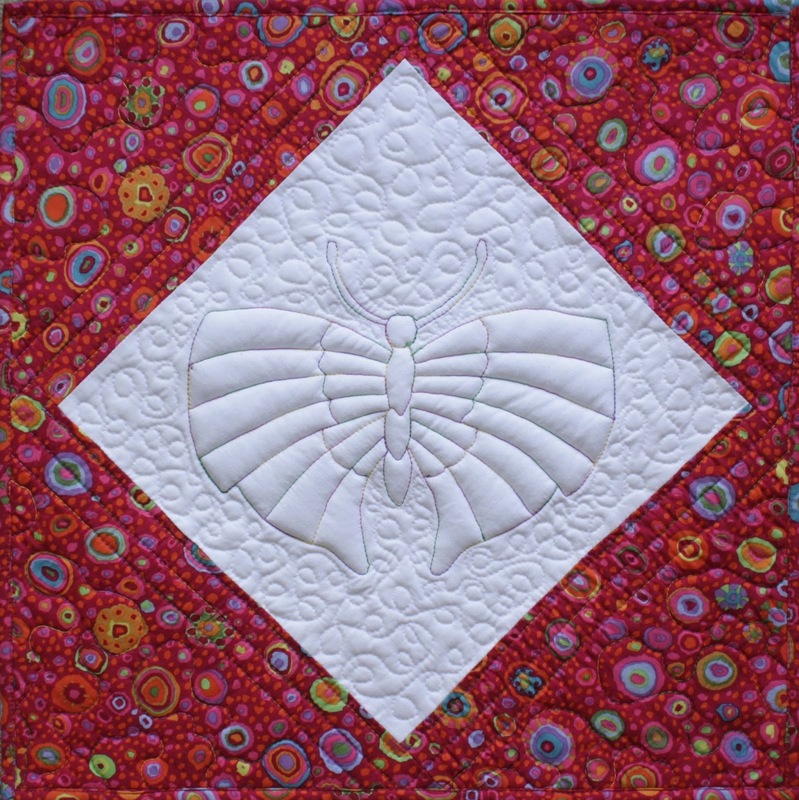 Day one focuses on turned appliqué and three methods of using freezer paper, as well as setting up your machine and stitching a with an invisible finish. After completing some practice shapes trialling the different methods, students will then select the method they are most comfortable with and create their own block. On the second day, participants explore the possibilities of using raw edge and fusible web. Students will once again practice several different methods and explore the stitching possibilities on their sewing machine. They will then create a block with their new found knowledge. All stitching takes place with the presser feet on (no free-motion) and is suitable for all levels of expertise. This is a fantastic workshop for getting to know your sewing machine's capabilities. 1-2 days - all levels. 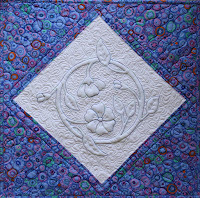 In this workshop students will learn the fun and easy way to do curved piecing - from the surface. they will choose from two table runner patterns to commence in the workshop setting, giving them the confidence to apply the technique to other curved patterns. This 2+ days workshop is for those who already have free motion skills and are wanting to get their teeth into a creative project. 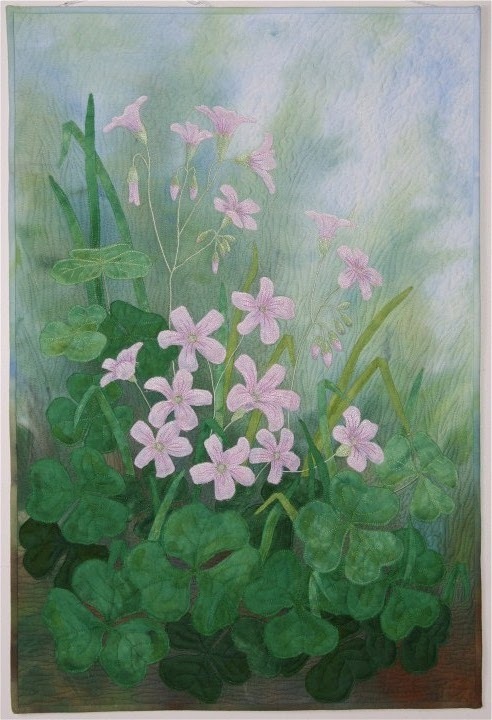 Participants will firstly learn how to draw their own leaves plus the basic construction method along with all sorts of variations. Students will then learn to create elements using water soluble stabiliser and create other elements that you might find laying about on the forest floor. This is a beginners guide to everything you need to know on how to paint designs onto fabric. 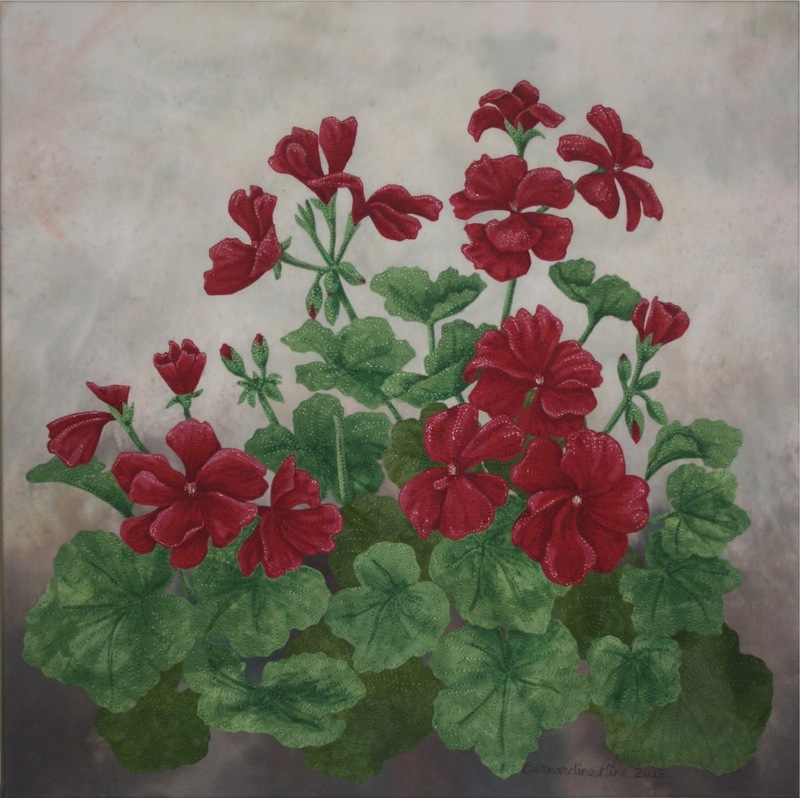 In the workshop participants will learn about the types of paints available and their applications, plus how to use them effectively. We will be using copyright free designs to practice with and participants will gain the skills and knowledge that I use to paint subjects in my work, which can be used in both whole cloth applications as well as for applique. One day workshop. 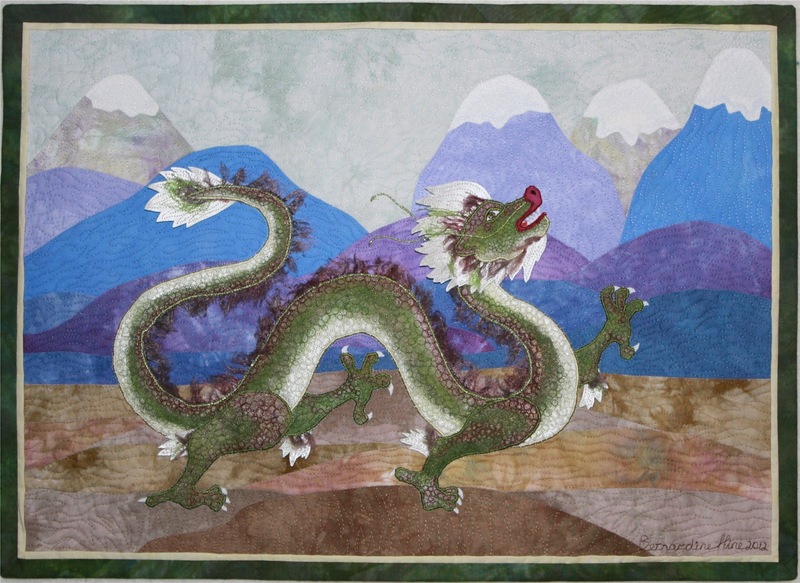 In this workshop participants will use many different techniques to produce their very own Chinese dragon wall hanging, based on my award winning quilt, "Emperors of the Elements" (First place pictorial section, Qld Quilt Show, 2003). 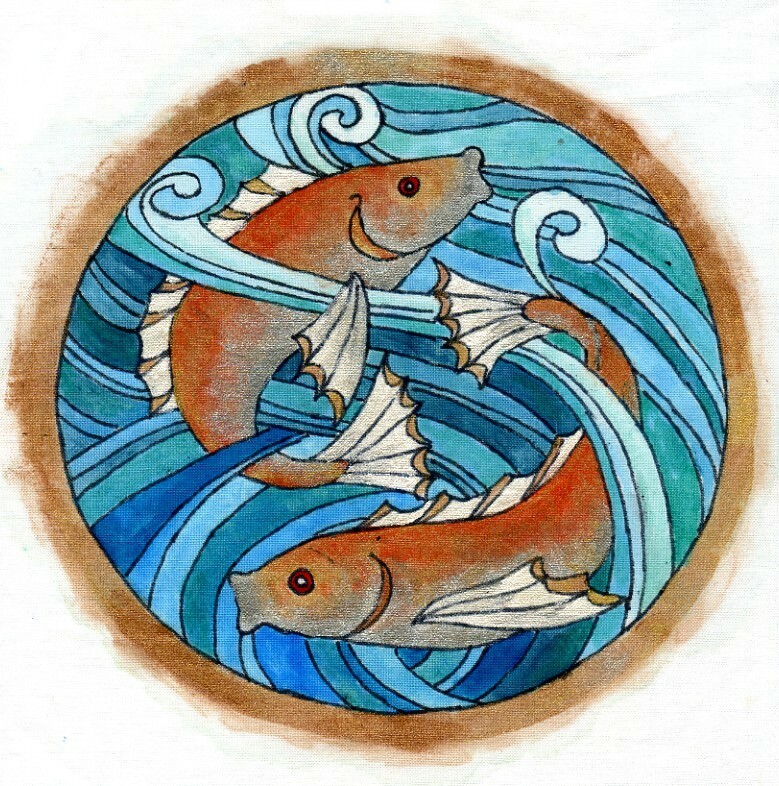 A pattern will be provided and there is a choice of either a Water Dragon or Earth Dragon. 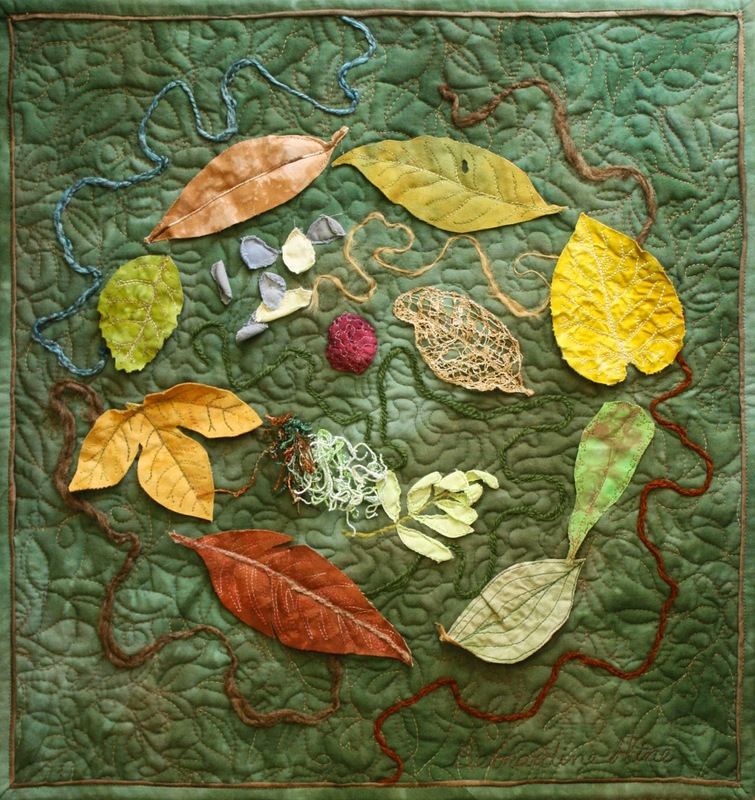 This project uses many different techniques including fabric painting, machine applique, couching, machine embroidery, and piecing from the top. There is lots to learn in this exciting and easily achievable project! 3 day workshop. Learn how to set up your machine for free motion work, what equipment to use and the different stitches achievable. You will see several demonstrations and will then have a practice on your own machine. Ideas and samples of how to incorporate free machine embroidery work into quilts will be shown and discussed. One day workshop. 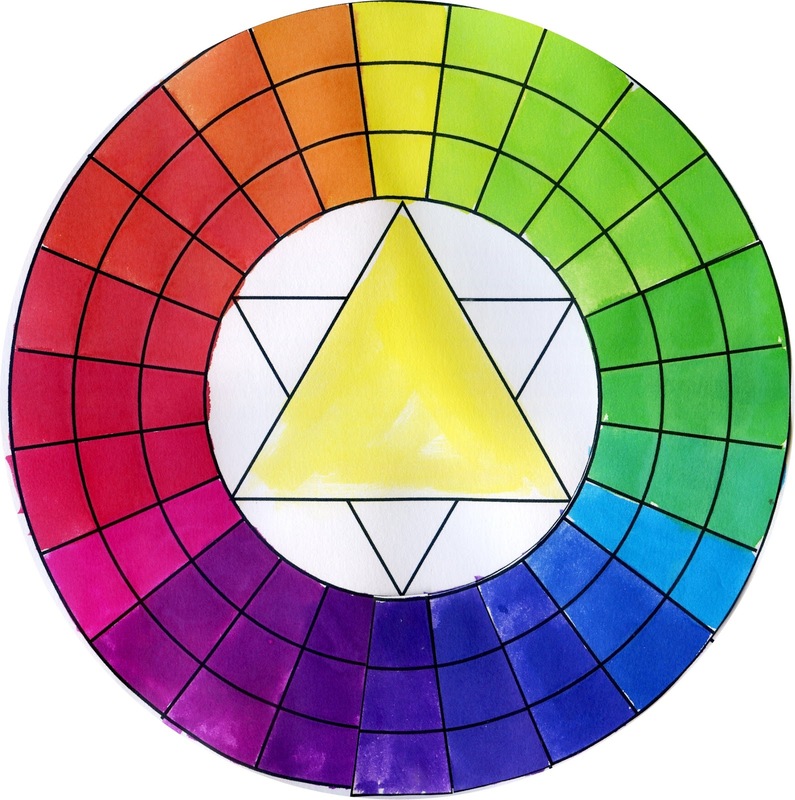 It's time to discard outdated and flawed colour theory and replace it with the modern and workable way! 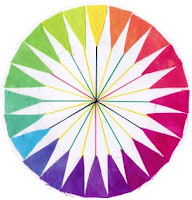 Learn the truth behind the colour wheel and with this innovative and informative approach you will learn not only how to select coloured fabrics with confidence but also how to approach mixing paints and dyes. Students will perform a variety of exercises with both fabrics and paints to gain a deeper and more accurate knowledge of colour. A reference workbook of exercises and copious notes will be yours to take home. 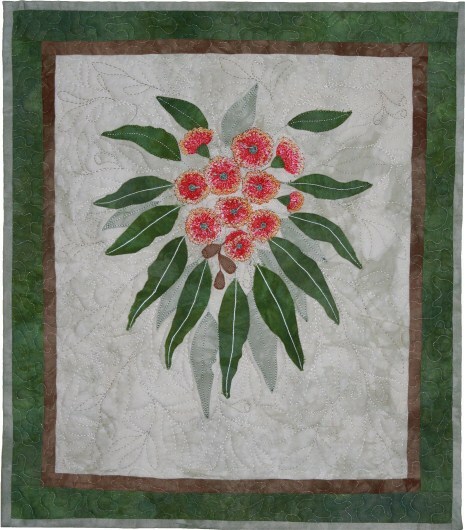 Suitable for the traditional quilter as well as the not so traditional! Learn how to make 3D free machine gum blossoms. These flowers are fun and effective. We will also make some 3D leaves add dimension to the piece. Participants can use the pattern to make this floral arrangement, or they can arrange their flowers and leaves however they please. One day workshop. 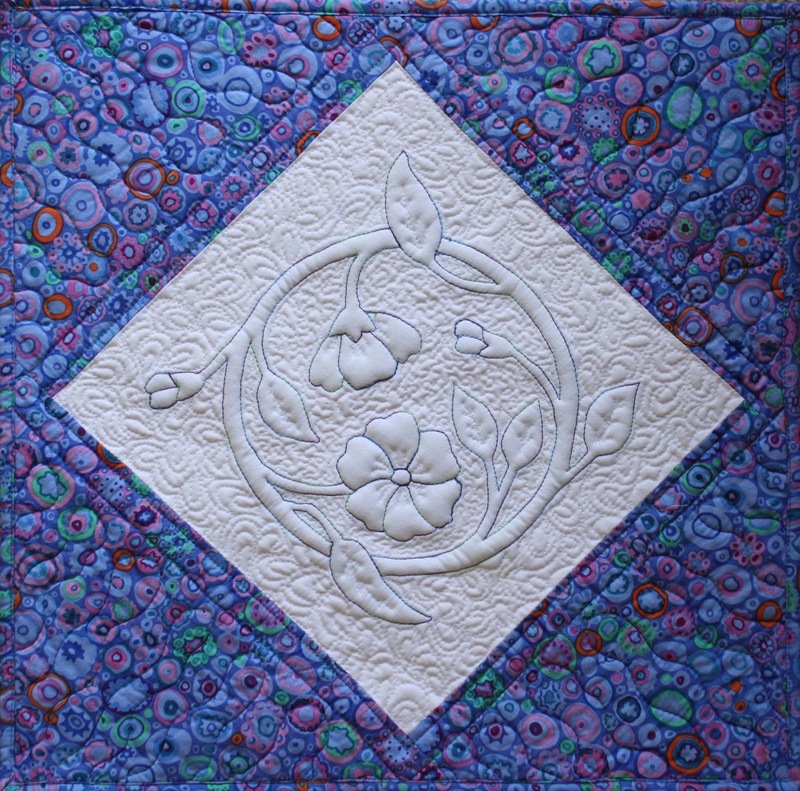 Learn how to set up your machine for free motion quilting, what equipment to use and how to go about it. 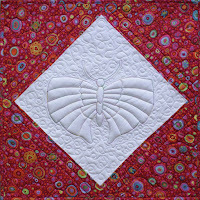 You will be guided through a series of exercises to get you on your way to free motion quilting both free form patterns and following a design. 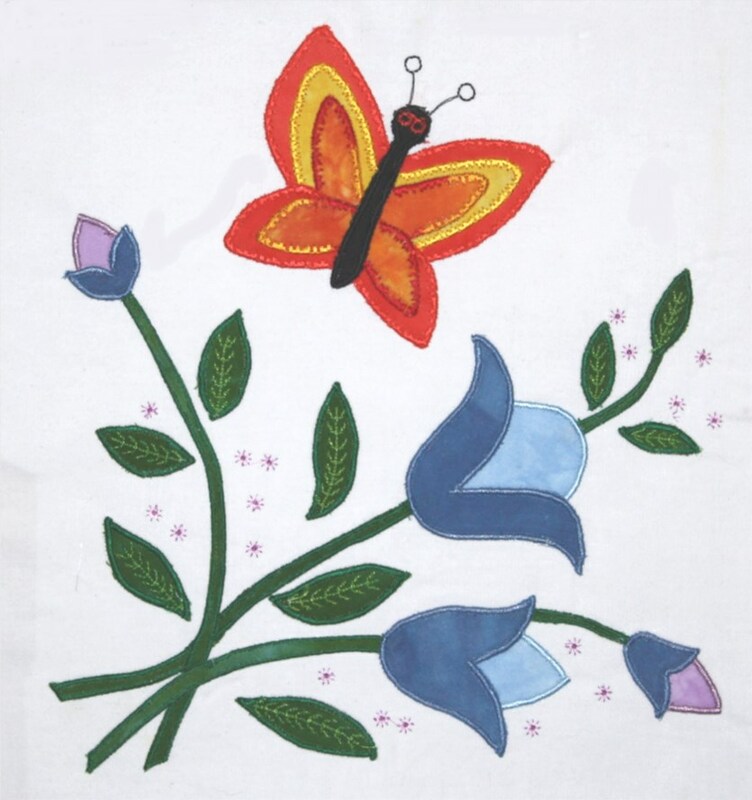 Learn the simple technique of doing trapunto by machine, whilst making a cute cushion cover. This workshop enables students to stitch with the presser foot on, so it's easily achievable for those with no free motion experience. Pattern for both designs and complete instructions to finish the cushion covers included. 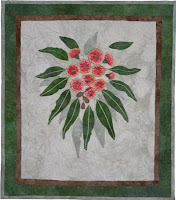 Create your own floral quilt, based on one of my three designs. Learn how to paint backgrounds, learn design elements and how to create a pleasing layout. 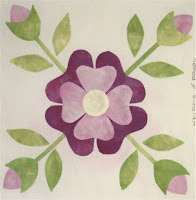 How to applique and quilt in one go, and how to use the quilting lines to enhance your work. 2+ days. Good luck with your new workshops Bernadine!